Hopefully, you have a quality homeowner’s insurance plan protecting your house. Mother Nature has a way of throwing some crazy stuff at us. You don’t want to have to make a claim, but what happens if you have to? Let’s imagine there was a massive flood which damaged your home. You have to make a claim to replace all of your furniture, clothes, electronics, and much more. Do you know everything you would have to replace? This article is going to look at why you should do a home inventory and tips on how you can do that. When you make a claim on your homeowner’s plan, you’re going to have to tell the insurance company what items were damaged and needed to be replaced. If you don’t know what needs replacing, you could forget a lot of your furniture or clothes. If you don’t put it on the claim, it’s not going to get replaced or you’ll have to pay to replace it out-of-pocket. Once upon a time, doing an inventory of your house meant you had to walk around the whole house with a piece of paper and a pen. Luckily, it’s not as painful or tedious anymore. There are much easier ways to track all of your things. To start, grab your phone or a camera and walk around your whole house to video all of your things. Getting a quick video is a simple way to take inventory, but you need to do more than that. This is only the first step. The next thing you should do is get a more detailed inventory of your stuff. Go through your home and take pictures of all of your things. Take photos of the serial numbers of the bigger items. You also should write down all of the information and keep the info someplace safe which won’t be damaged. We recommend you keep the video files and the other information either in a safety deposit box or on cloud storage. When you’re taking stock of all your stuff, there are a lot of things you need to be sure to include. You want to include just about everything. We suggest you do the inventory room-by-room. Start at one end of the home and work towards the other end. Include furniture, jewelry, electronics, clothes, carpets, appliances, and even light fixtures. If you would have to pay to replace it, then you need to put it on your list. On the item list, you want to include what the item is, a description of it, when you bought it, a serial number, and how much you bought it for. You need to do this for every item on your inventory. Sure, it sounds time-consuming, but having this additional info is going to save you a lot of headaches if you ever need to file a claim. Doing an inventory of your home and all your things can take some time, but it’s very important. Hopefully, you’ll never need to make a claim on your homeowner’s insurance plan, but if you do, you’ll be grateful for your inventory. After you’ve finished taking stock of all your things, you may realize you need to increase your insurance plan. If you’ve had the same homeowner’s insurance policy for several years, it might not be enough protection anymore. Take the time to review your plan and guarantee if is giving you the protection you and your family need. One important thing to remember is to update your home inventory. You’re going to keep buying new things. You want to keep an updated list of all your things. You should go through your home at least once a year to update your inventory list. If you have any questions about homeowner’s insurance, the coverage limits, or about making a claim, feel free to give us a call. We are independent insurance brokers, which means we aren’t employed by a single insurance company. We work with some of the best highly rated insurance carriers across the country. Our agents have years of experience helping people find the best insurance policies out there. It’s our mission to serve the Denver, Colorado area with the most affordable insurance available. You never know what is going to pop up. If something were to happen, either as an act of man or an act of nature, you could find yourself with some massive financial problems. 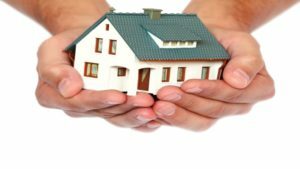 If you want to increase your homeowner’s insurance coverage or you want to save money on your protection, you can use our contact page, or you can give us a call at (720) 209-4598. ← Does Homeowners Insurance Cover Accidental Death/ Liability?